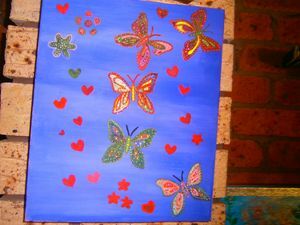 A abstract of Butterfly very bright and painted my Kim Patience not for Sale. 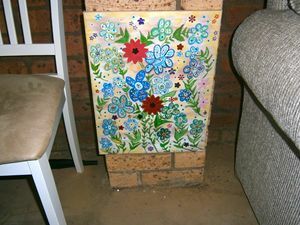 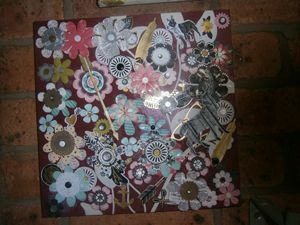 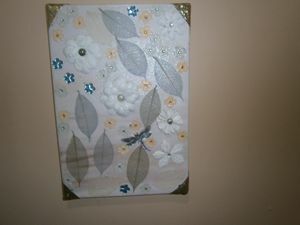 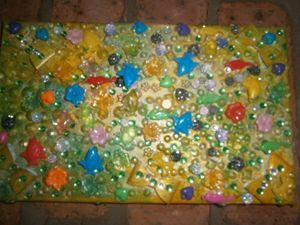 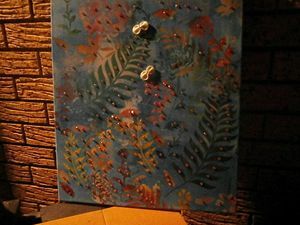 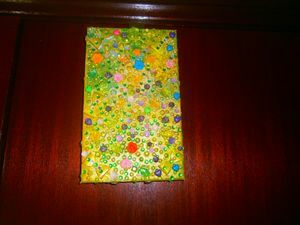 I am an artist and I love Abstract Art, I hand do this with beads and special pieces. 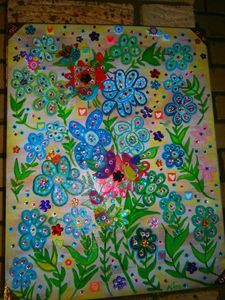 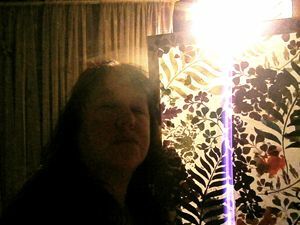 I create from the heart and that is important, I would love to sell my Artwork they are really important to me and one of a kind. 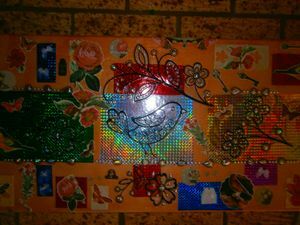 I live in Sydney, so please have a look and let me know what you think. 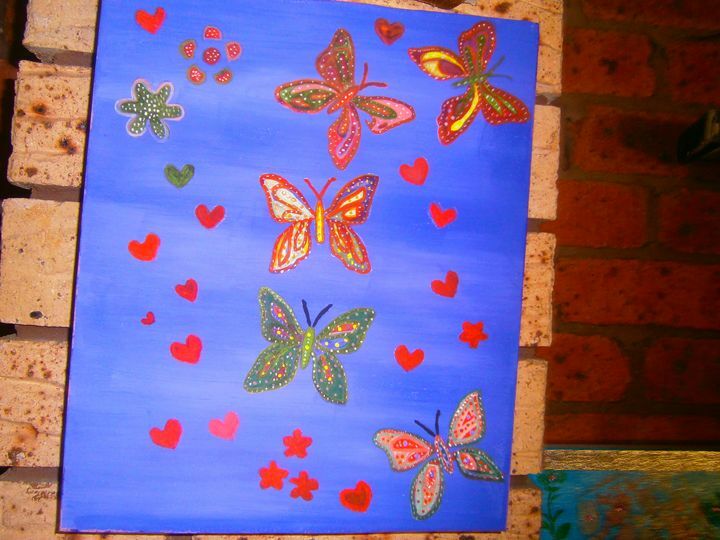 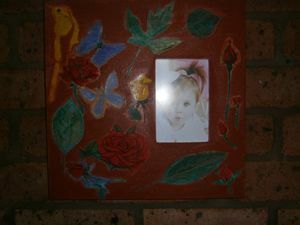 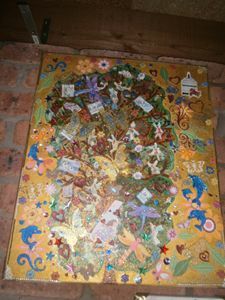 I do abstract art, paintings and childrens room art, so a bit of everything. 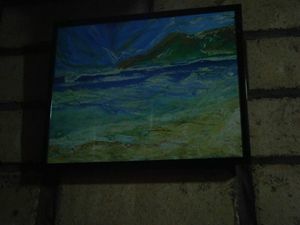 Selling my art on line please let me know if you like it. 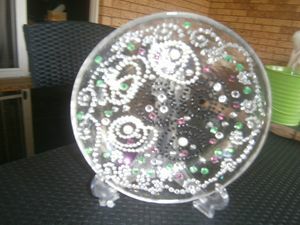 Hand made Plate with Pearls.